NewsGallery: KARL LAGERFELD FOR COCA-COLA? 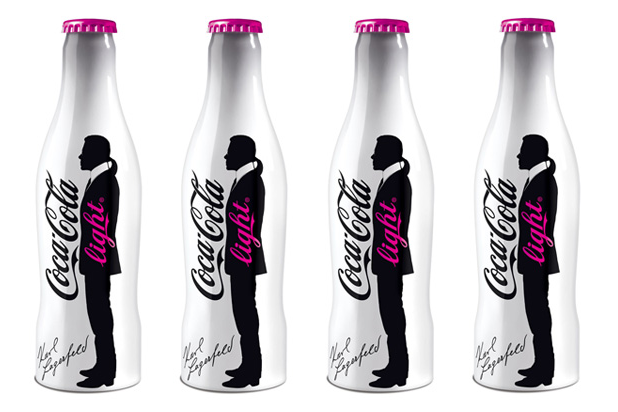 If you haven't heard as of yet, Karl Lagerfeld will be appearing on the Coca-Cola Light bottle this spring! The designer cylinder will be available for release on April 24--in a limited edition naturally, and exclusive to France consumers only. The collectible will even come with its own a bottle-opener, also designed by the fashion genius-turned-branding-expert all packaged in the box featured below. The fashion icon was asked by the Coca-Cola giant to launch a new campaign for its on going limited edition series; and Lagerfeld who is also a well-known-self-proclaimed-photographer, shot an ad that stars Coco Rocha and Babtiste Giacobini. He also designed the white bottle of course, hence the infamous self portrait and signature on the white backdrop. 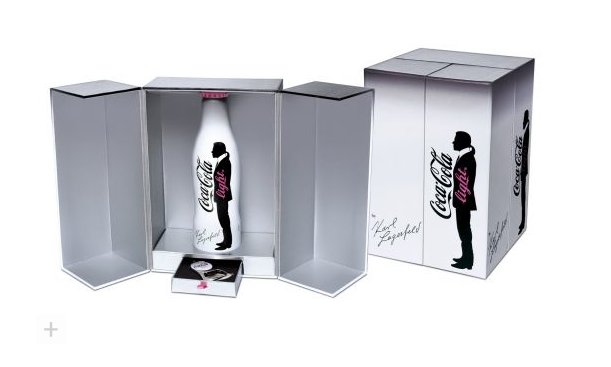 The campaign will go in full effect in magazines and billboards starting April 28th, but the Karl Lagerfeld Coca Light will go on sale on the 24th, which can be preordered at the Colette store in Paris if you're lucky enough to live around. Previous ad campaigns done by Lagerfeld are the ones he did for Dom Perignon, which he's done twice so far--last year being the most recent. Go HERE for more details, and photos like the one below, and the video of the actual shoot starring Claudia Schiffer this time.